Let your students practice working with fractions with this engaging activity. 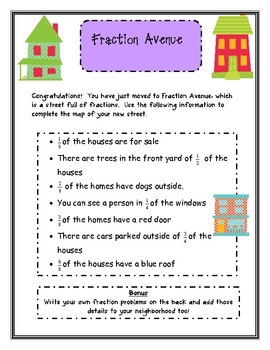 In this product, students get to design a street using different fractions. In this fraction activity, students will work with fractions in a set and equivalent fractions.